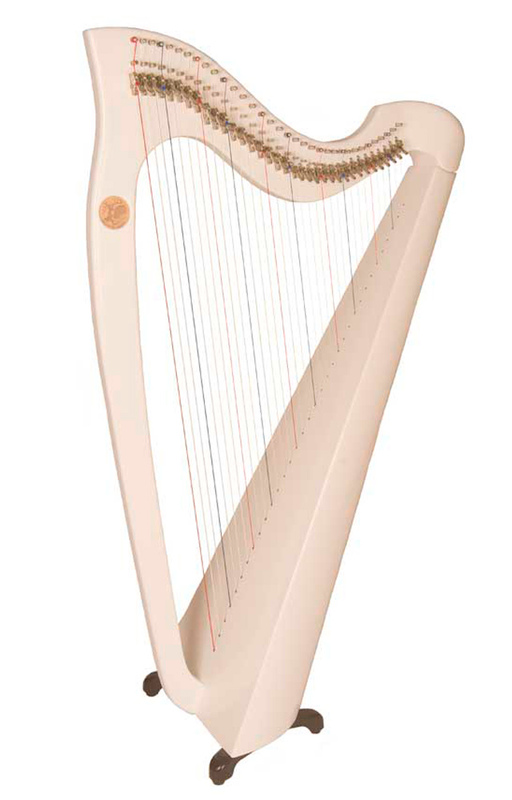 Fully Levered (Camac Levers). 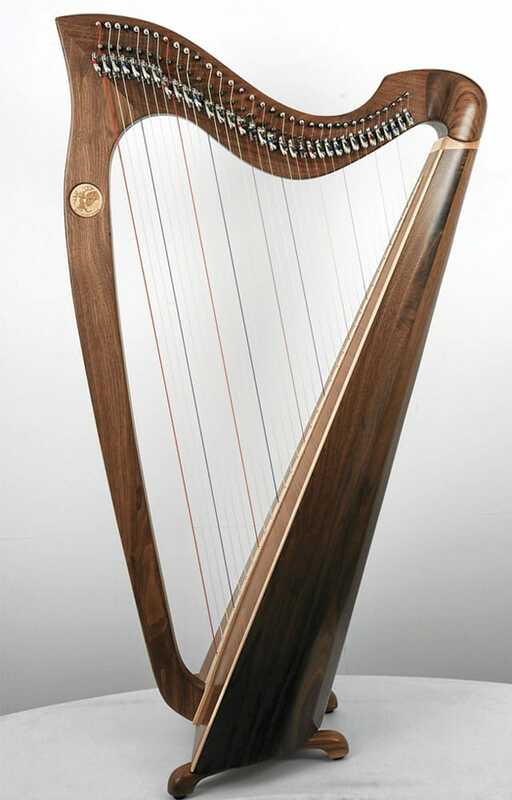 Carbon Fiber Strings with steel wound base strings. 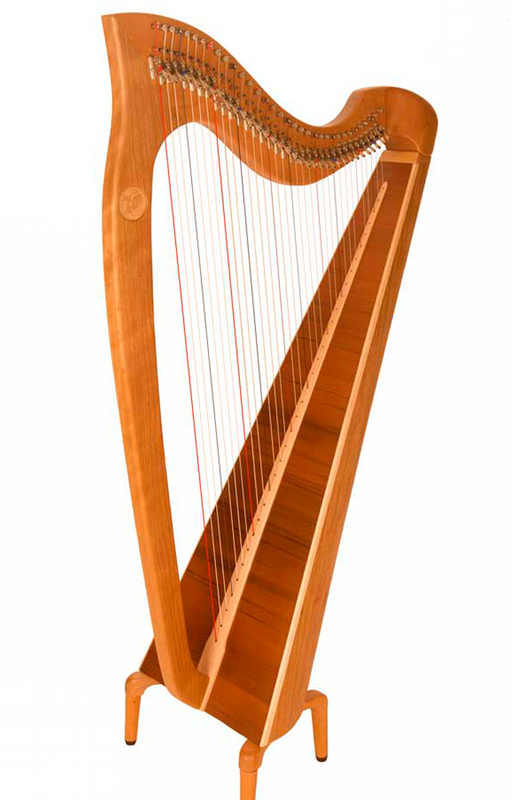 Cedar Sound Board. 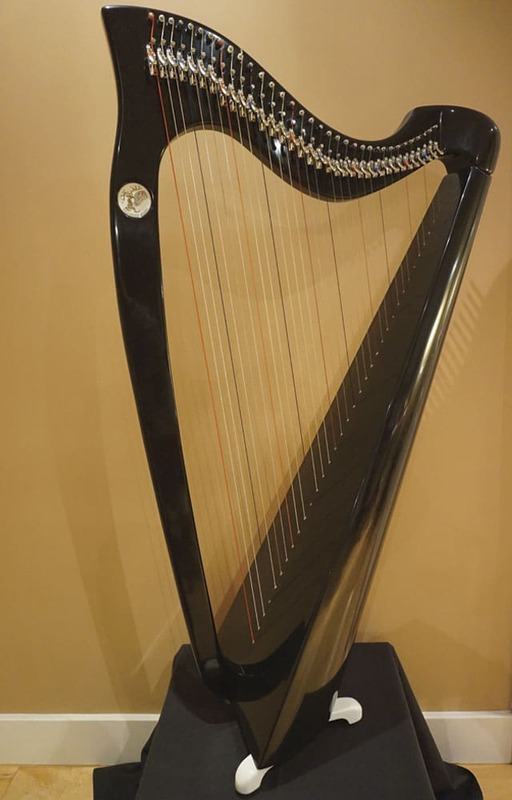 Extension Feet can be fitted to all our Harps and standard sizes are 4″ (100mm) or 6.5″(165mm) but can be made to different lengths on request. 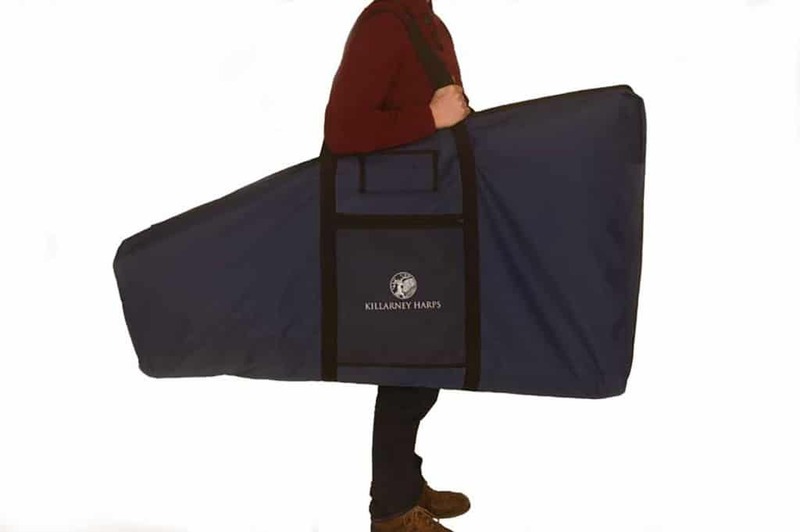 Harp bags, heavy duty and fully padded. 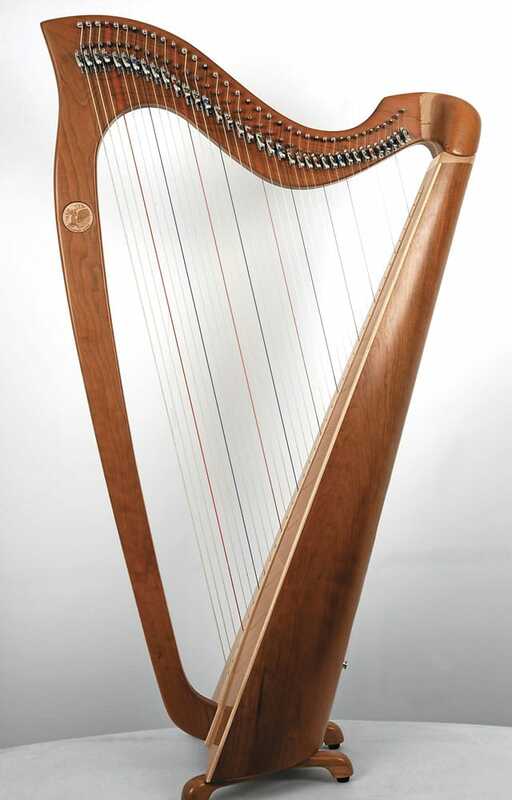 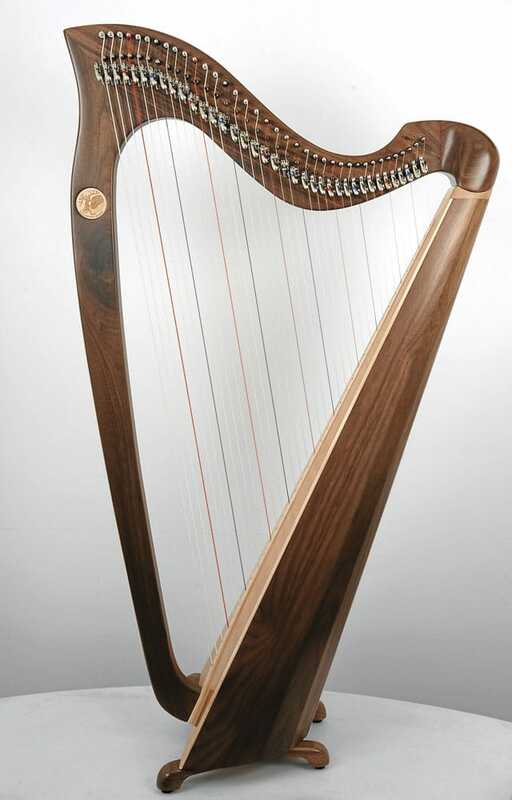 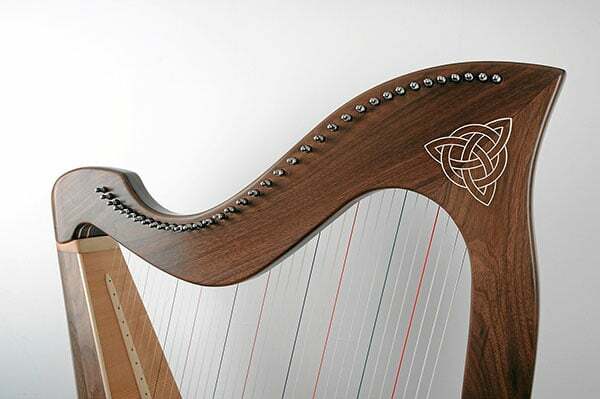 Celtic Knots can be inlayed on harp.